Boston GreenFest: August 19-21, 2016. Free multicultural environmental music festival in Boston. Fisherman’s Feast: August 18-21, 2016. 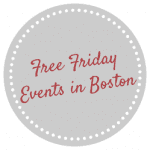 Free North End Festival and is Boston’s oldest continuous festival! 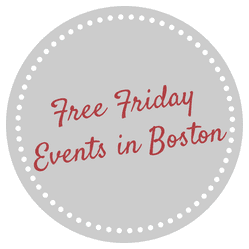 Please let me know if I missed any free and fun things happening this Friday in Boston. Don’t forget to check back tomorrow to find some more free fun happening this weekend in the city! Hope you have a great day!